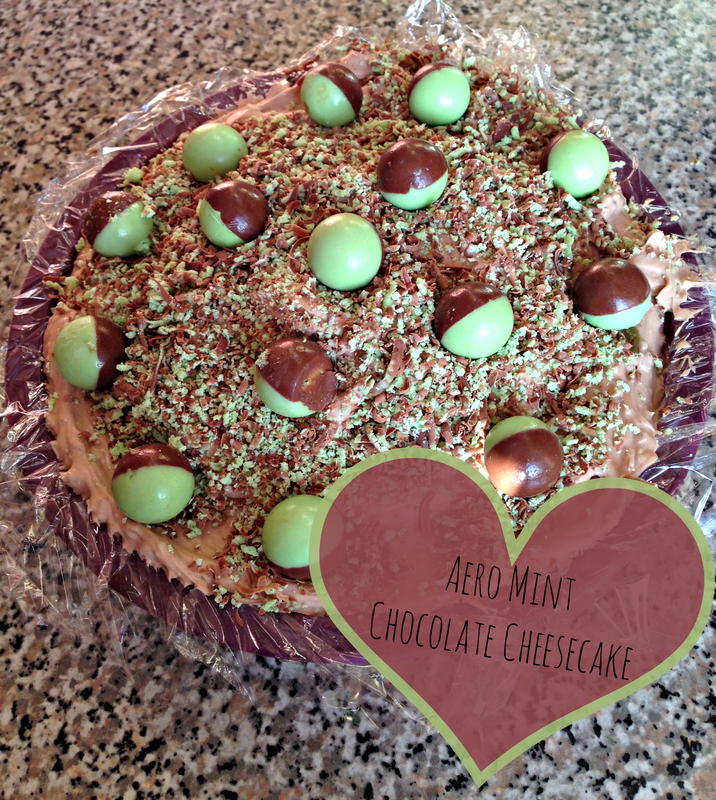 Recipe: Gorgeous Mint Aero Chocolate Cheesecake! What could cheer up your Monday blues more than a gorgeous Mint Aero cheesecake? Nothing. That's what! I know I'm meant to be on a diet but when you see something as delicious as a freaking Mint Aero chocolate cheesecake, you just know you have to throw that salad to the side and gorge on cake! One day last week someone posted this recipe on their time line on Facebook and it was just something I could just not scroll past without writing down the recipe. I love baking cakes and cheesecakes aren't something I normally attempt so I thought I would challenge myself by making this from scratch. This cheesecake is really simple to make and only takes 7 ingredients to make, perfect for you who aren't that savvy around a kitchen. It also takes only about 20 minutes to make so you won't have to take out a whole afternoon for just one cake; trust me I'd rather go buy one from Tesco if it took that long to make! 1. Crush the digestive biscuits to your preference and slowly add in the melted butter. The more butter you add, the more you base will stick together. 2. Line your tin with cling film as this will help to lift the cheesecake out when it's set. 3. Cover the base of the tin with the digestive biscuits. 4. Mix the Philadelphia and the icing sugar together. 5. Whip the whipping cream and add to the Philadelphia mixture. 6. Grate the two Aero bars. 7. Add about 3/4 of Aero chocolate to the mixture. 8. Spread the mixture on top of the biscuit base. 9. Add the rest of the Aero chocolate on top to decorate. 10. Optional - Add some Aero Bubbles for decoration. 11. Leave in the fridge overnight to set.